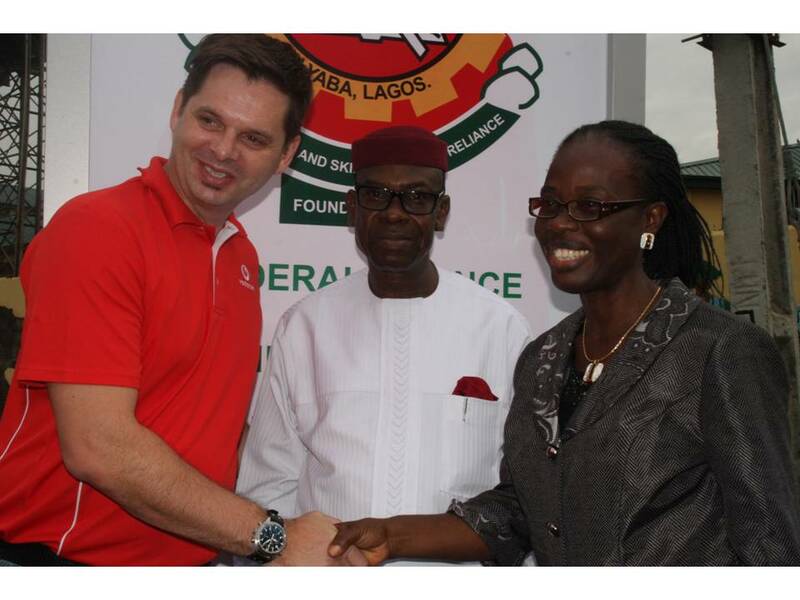 Vodacom Pix 1: L-R: Managing Director, Vodacom Business Nigeria, Mr Guy Clarke; Principal, Federal Science and Technical College, Yaba, Honourable Chris Ugorji and Vice Principal, Academics, Technical, Federal Science and Technical College, Yaba, Mrs Dasoye Opute, at the Handing-Over and Commissioning Ceremony of Internet Access and 220KVA Standby Generator donated by Vodacom Business Nigeria to Federal Science and Technical College, Yaba in Lagos. The Federal Science and Technical College, Yaba, is well-known for producing some of the country’s best students in the science and technical fields at secondary school level. 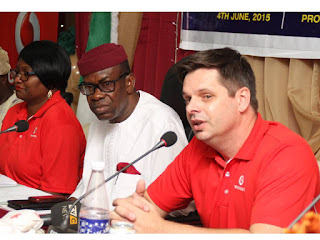 To help improve the results of the school even further, Vodacom Business Nigeria has stepped in and provided WiFi services for students and teachers in classrooms, laboratories, workshops and staff offices. Vodacom Business Nigeria also sponsored a 220KVA powered generator to help keep the school connected during power outages. Speaking at the handover ceremony was the Principal, Federal Science and Technical College, Yaba, Hon. Chris Ugorji who said, “The vision of the college is to provide the scientific and technical skills, required to produce self-reliant young men and women, ready for tertiary institution and the ICT industry. The sponsorship of high-speed internet access and power generator by Vodacom guarantees this vision and we are happy to be beneficiaries of this project”. Vodacom Pix 4: L-R: Executive Director, Legal and Regulatory Services, Vodacom Business Nigeria, Mrs Nkechi Newton-Denila; Principal, Federal Science and Technical College, Yaba, Honourable Chris Ugorji and Managing Director, Vodacom Business Nigeria, Mr Guy Clarke, at the Handing-Over and Commissioning Ceremony of Internet Access and 220KVA Standby Generator donated by Vodacom Business Nigeria to Federal Science and Technical College, Yaba in Lagos.